Chrome electroplated plastic is used in many industries including automotive and domestic markets. 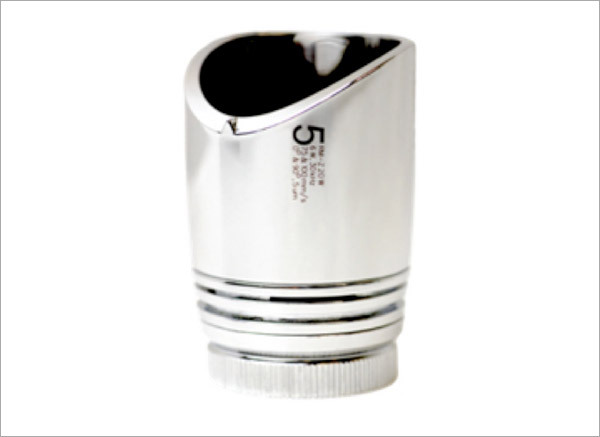 Radiator valves and lamp units for vehicles are examples of products which use electroplated plastic. The advantages of using this material is its resistance to corrosion, abrasion and ease of cleaning. The challenges of using electroplated plastic is due to its thermal sensitivity, which may cause the material to become removed from the substrate if a high level of Laser output power is applied. Our redENERGY G4 RM-Z Laser allows the user to achieve a mark of high visibility and contrast, without the risk of material removal. The sample shown in the above image was produced using a scan speed of 100mm/s at a frequency of 30kHz, the result is a smooth mark achieved of 5mm characters.